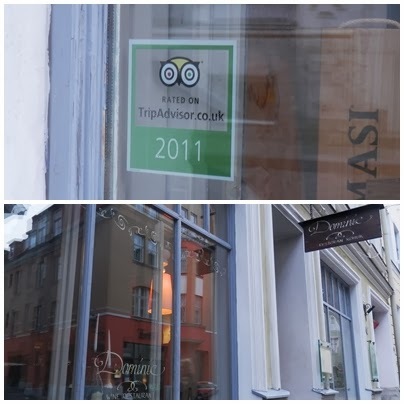 For those who recently visited Tallinn it won´t be news that the TRIP ADVISOR TREND IS IN THE AIR among all the bars/restaurants/cafes etc. 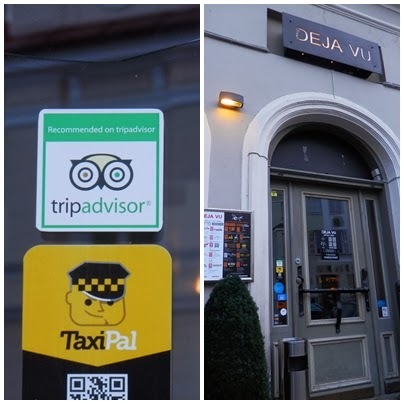 While walking on the streets of the old city it is impossible not to remark the style of the restaurants and shops that seem to be so unique and personalized. 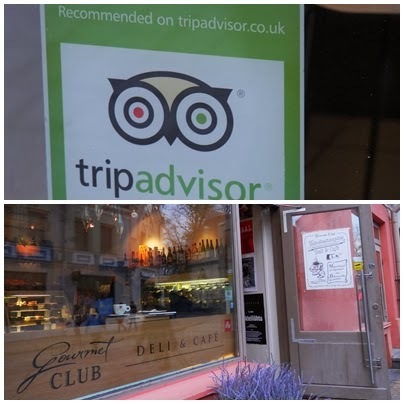 But I found a common marketing strategy among all of them: to keep your potential customer informed that you are on Trip Advisor. 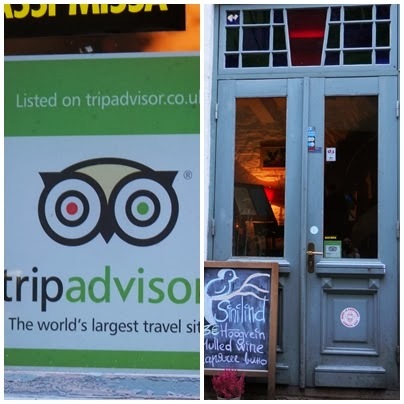 If someone isn´t listed on Trip Advisor , not a big deal! 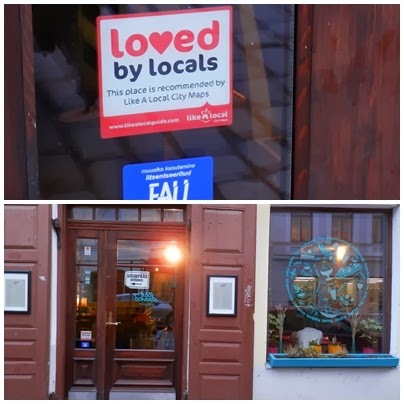 They found another way (exactly the same actually, but in other colors) - Loved by Locals! Nice move! 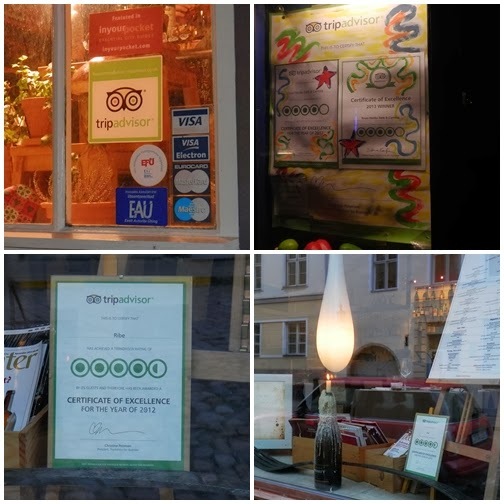 I don´t know since when they keep this Trip Advisor advertisment, but once everyone has it , it results in nothing important and doesn´t differenciate anyhow any of them. With all that, I got myself busy for some 40 minutes just looking at all the "window displays" ... I think I might get obsessed.